Congratulations to Samantha and Robert on their recent engagement! 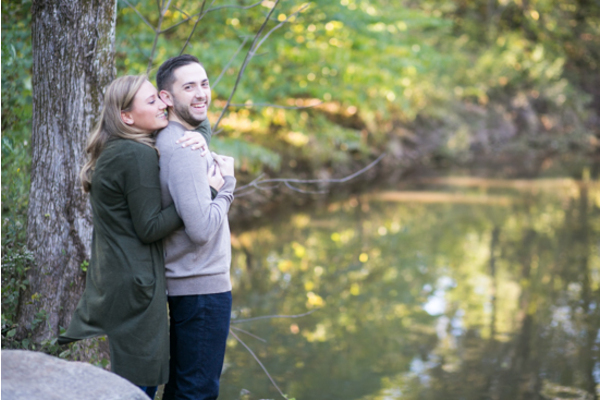 These lifetime companions are set to tie the knot at Perona Farms located in Andover, NJ. 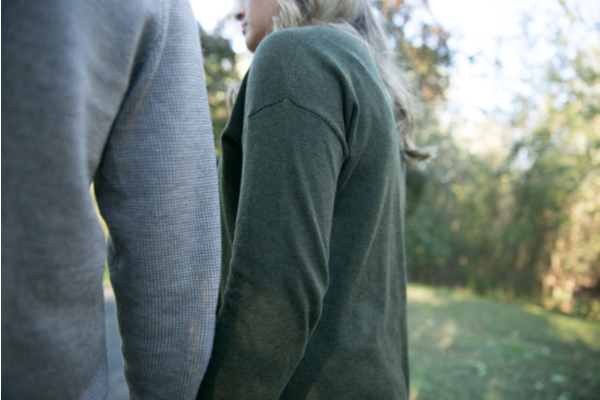 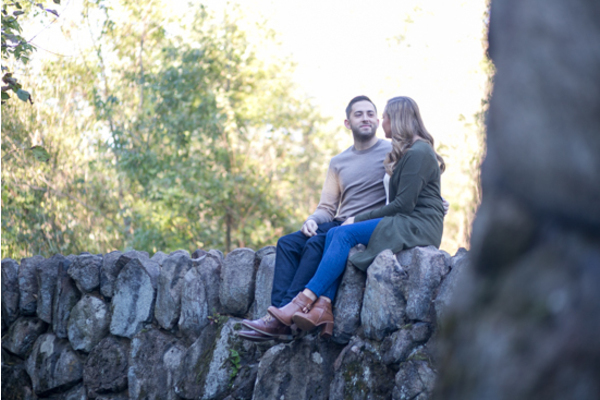 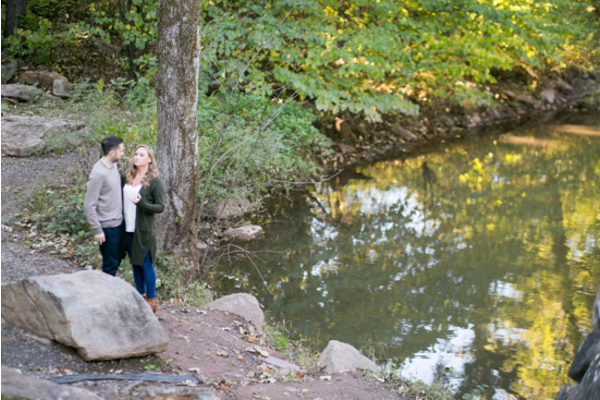 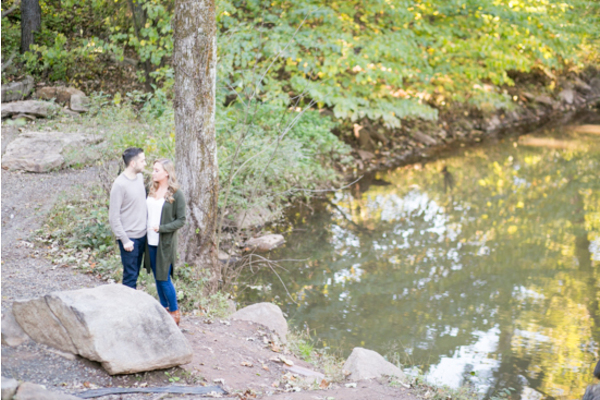 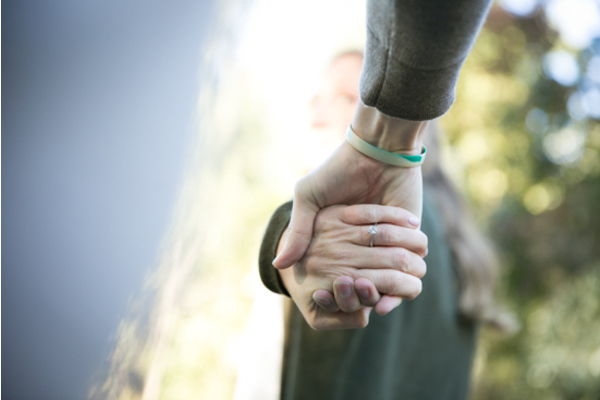 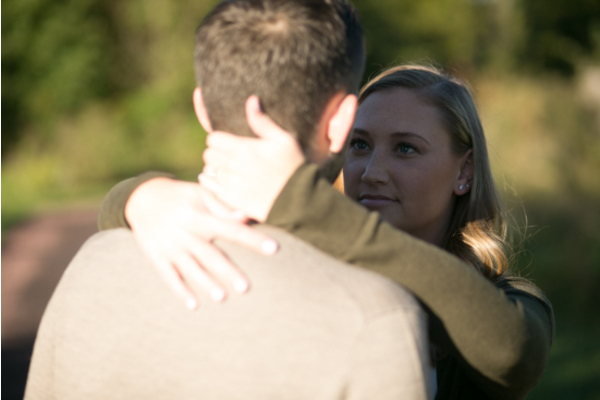 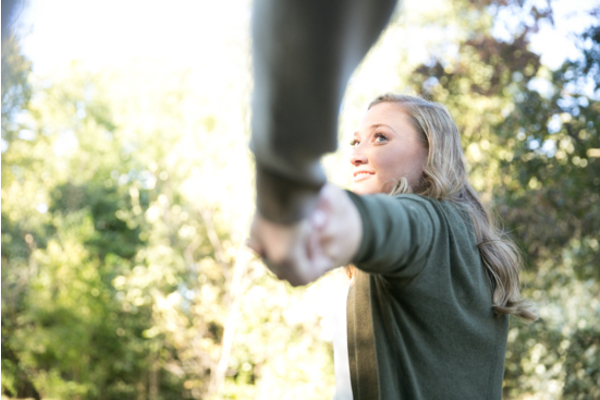 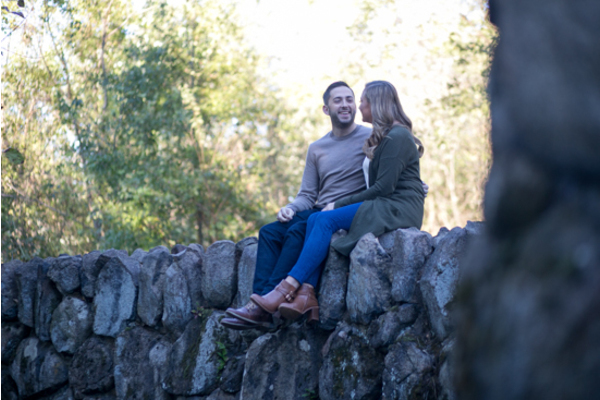 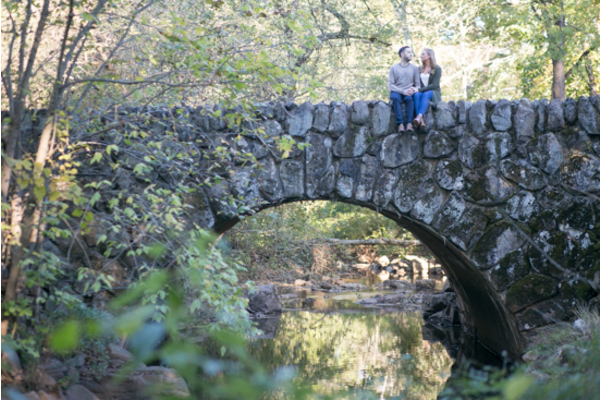 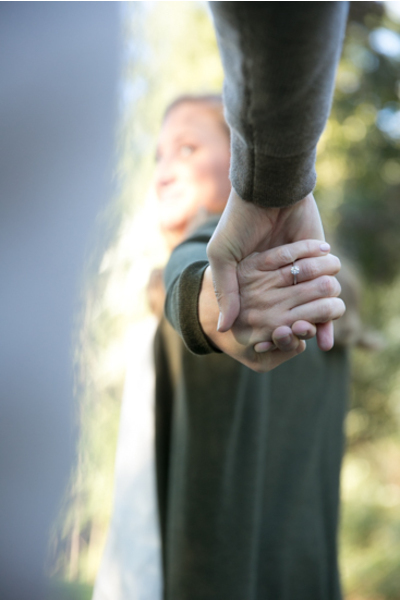 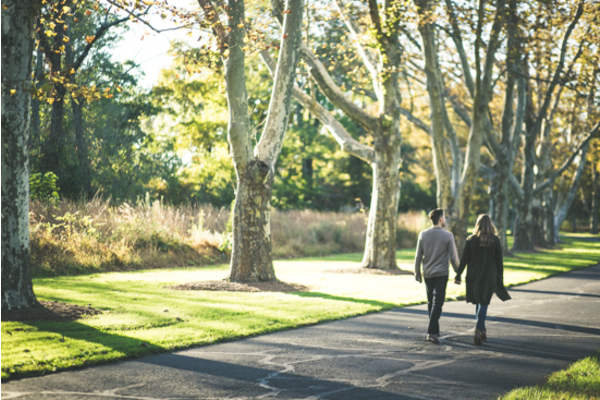 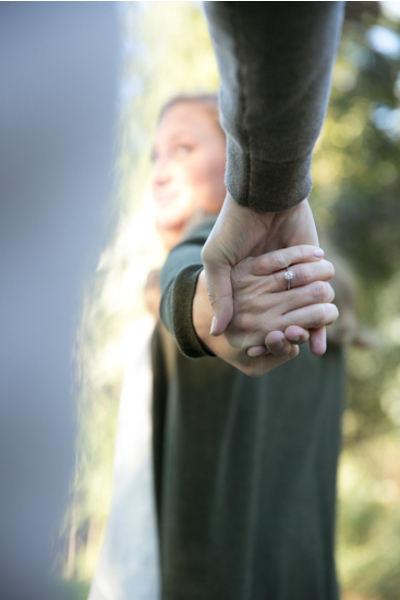 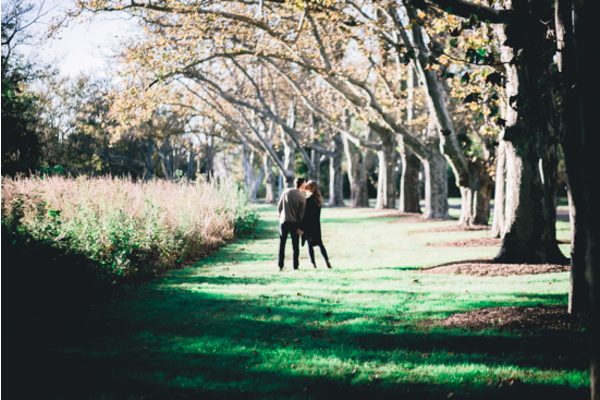 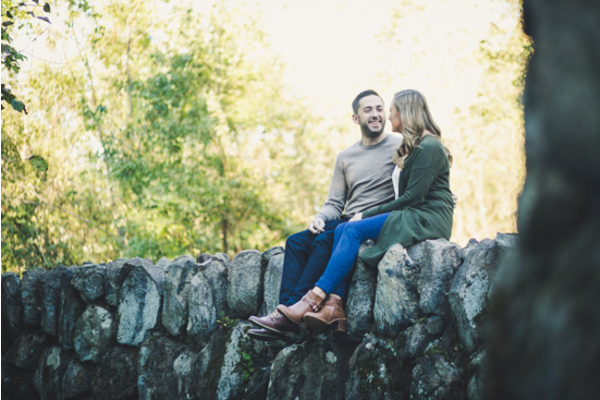 Cool weather is finally here and that means fall engagement season is officially upon us! 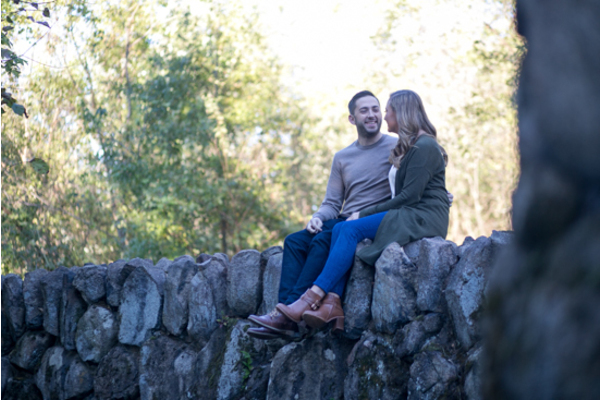 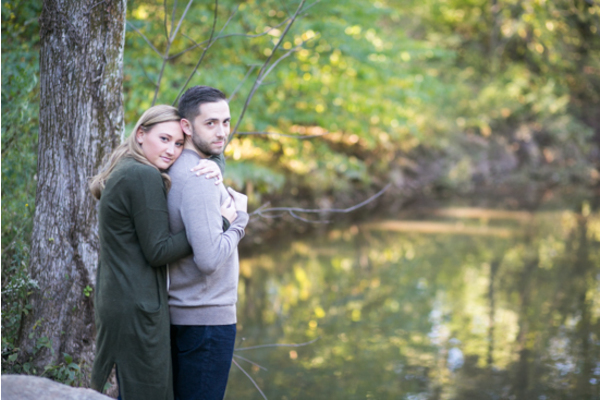 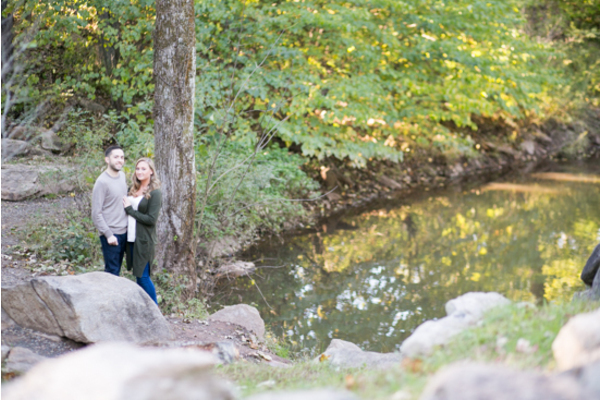 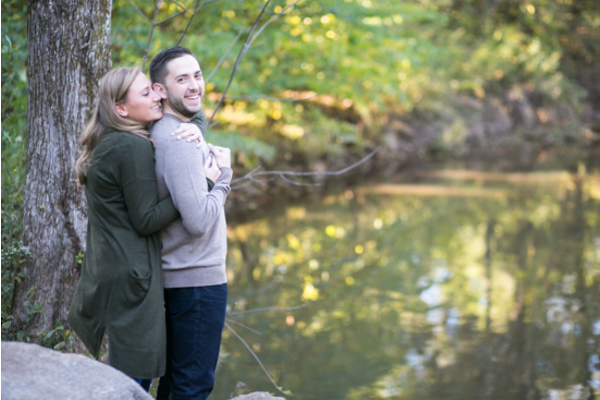 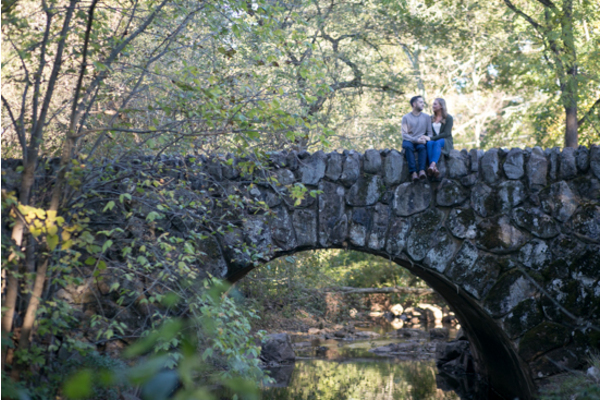 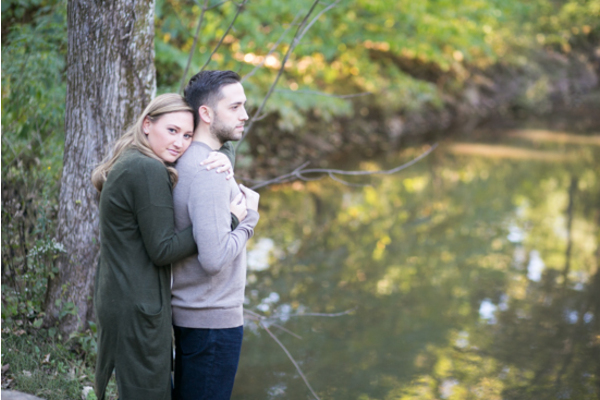 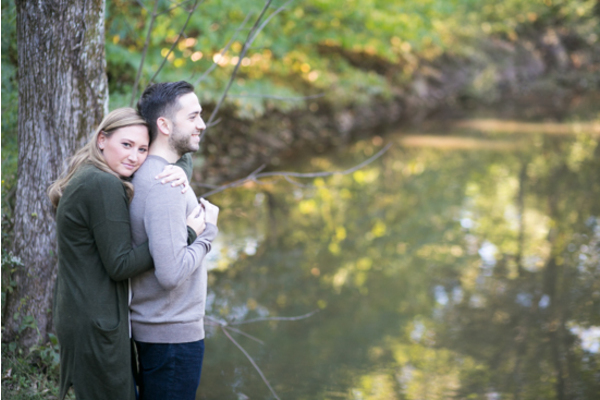 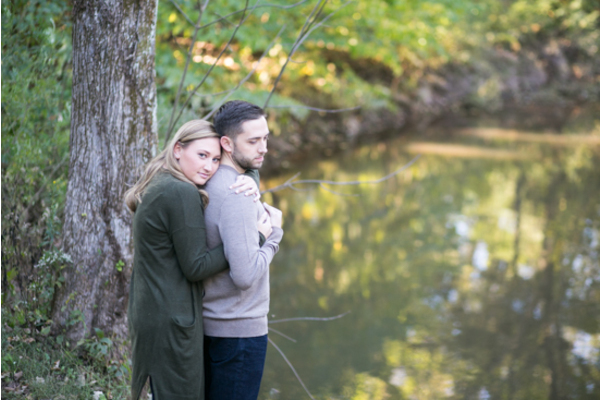 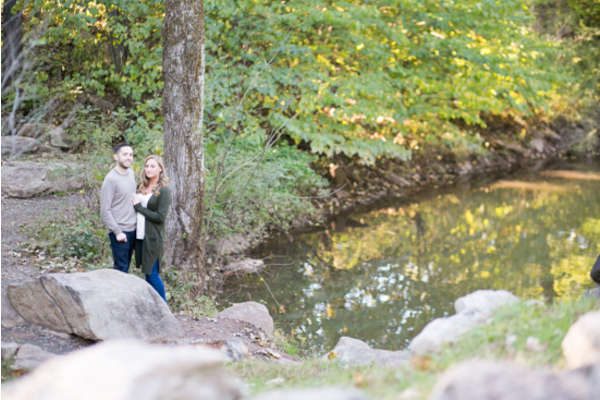 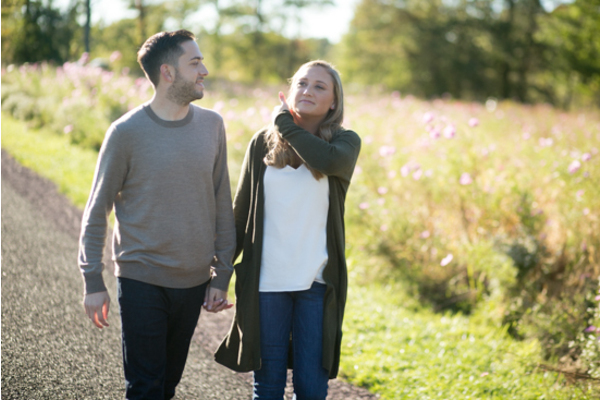 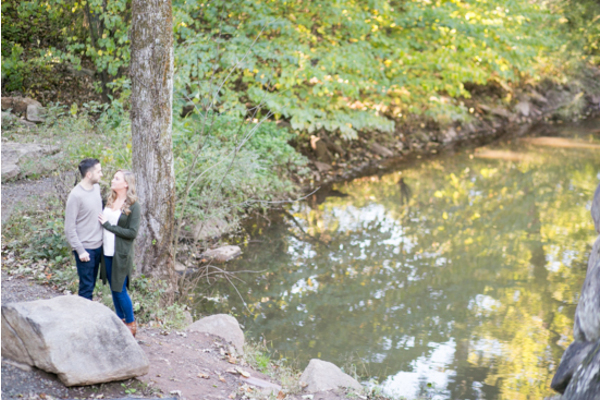 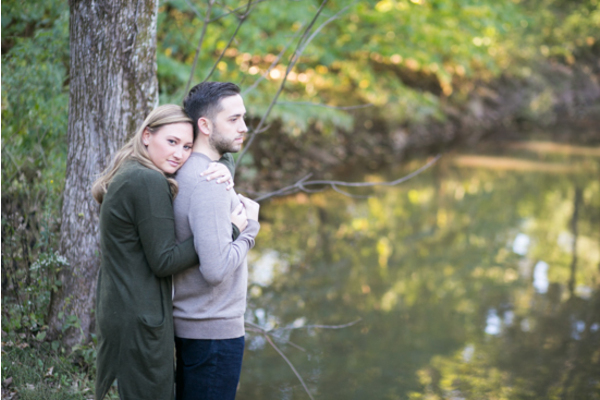 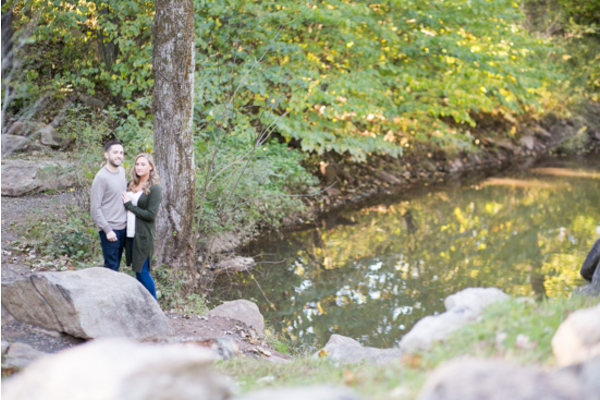 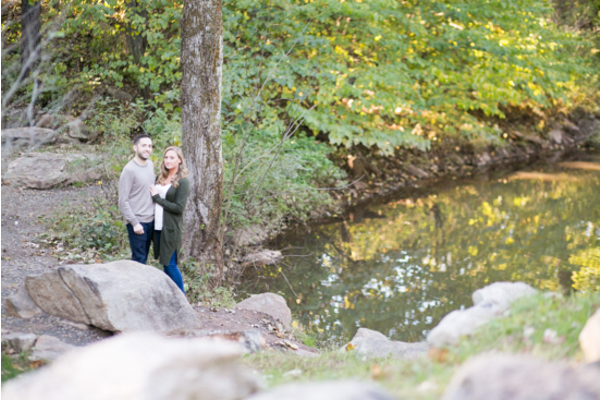 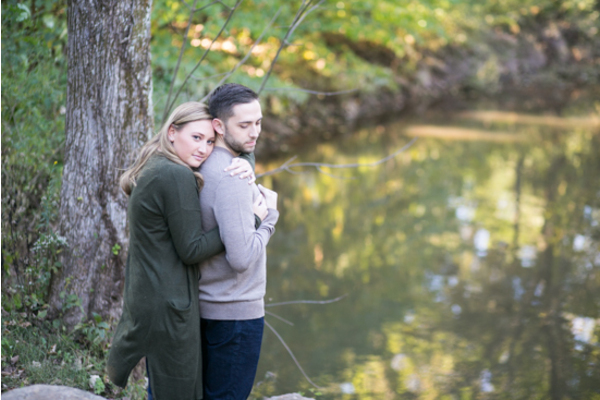 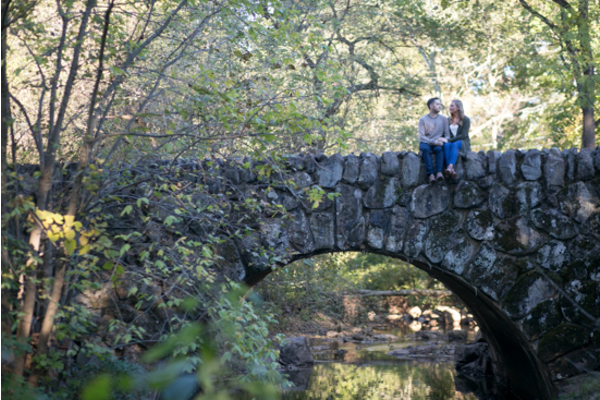 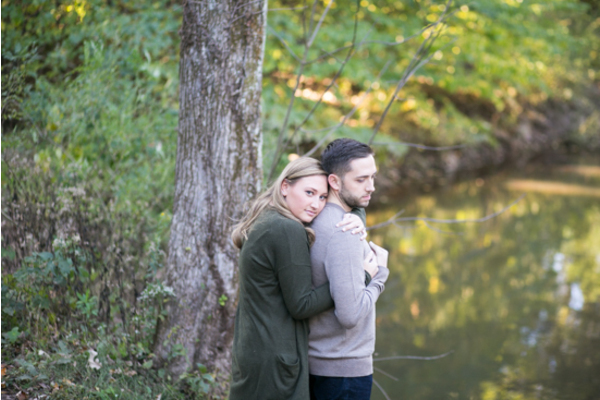 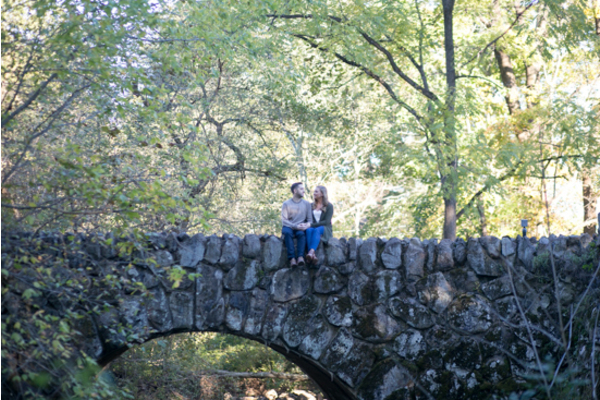 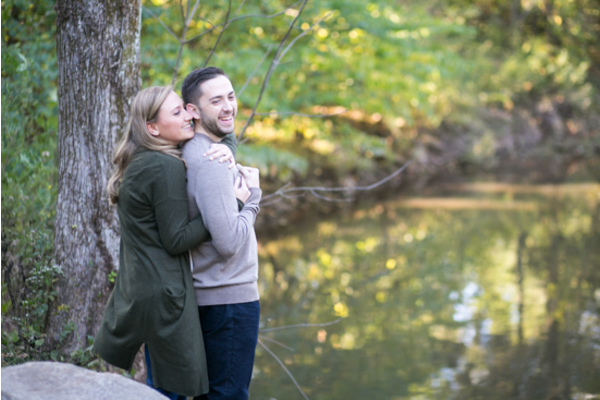 As the leaves began to change colors, Samantha and Robert had their amazing October engagement photos taken with our NJ Wedding Photographer. 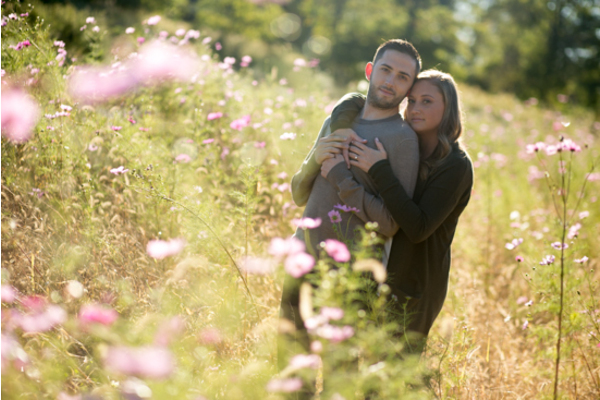 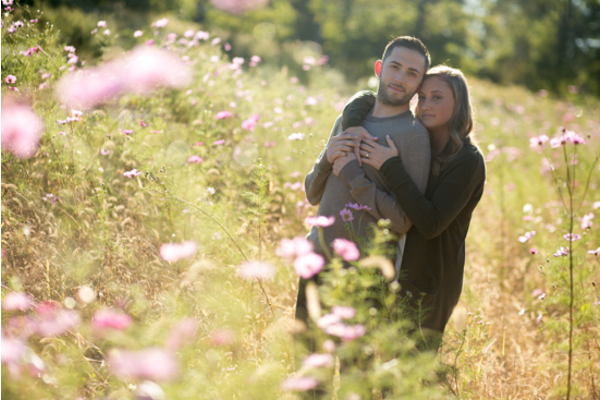 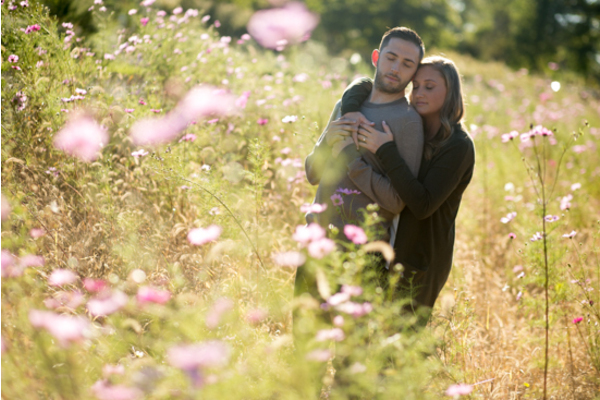 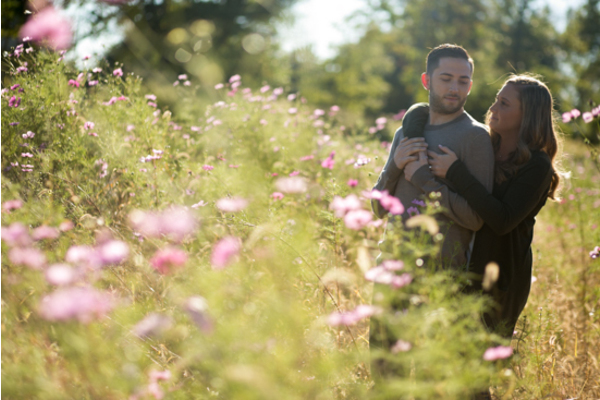 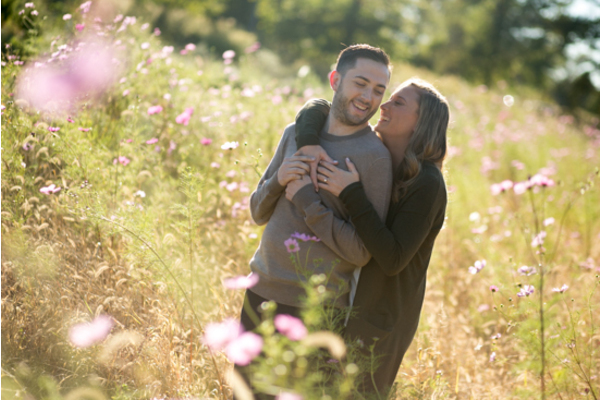 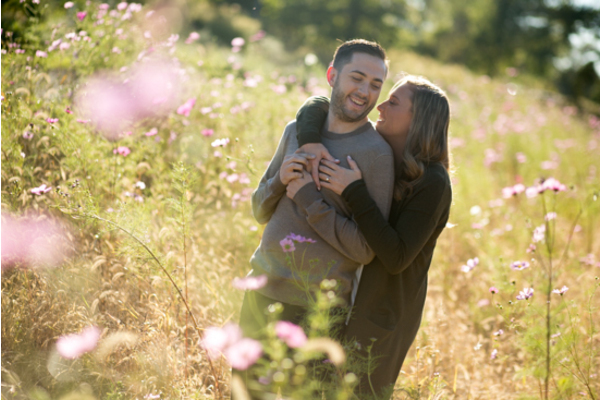 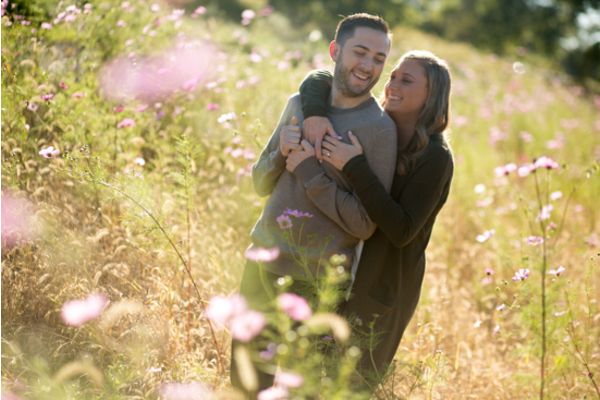 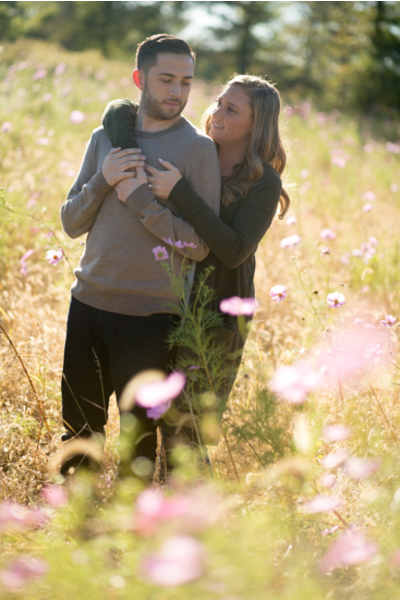 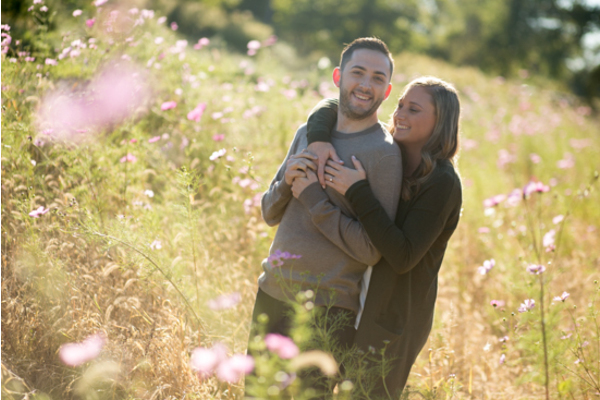 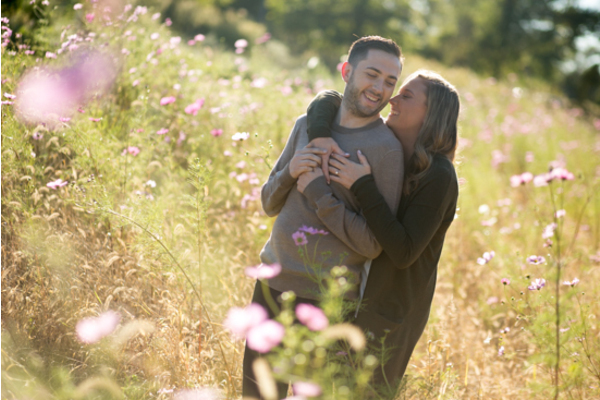 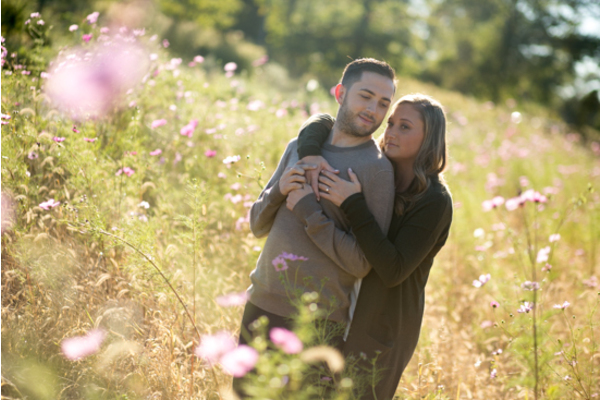 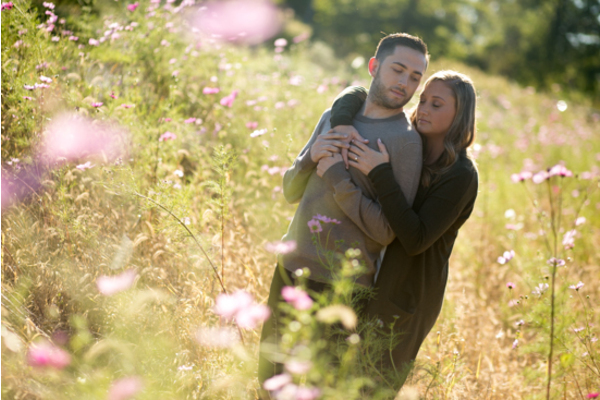 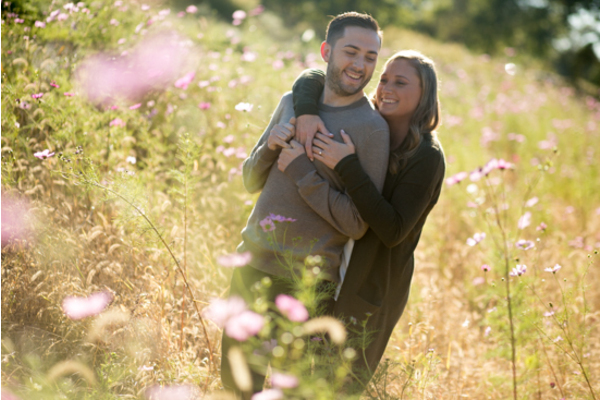 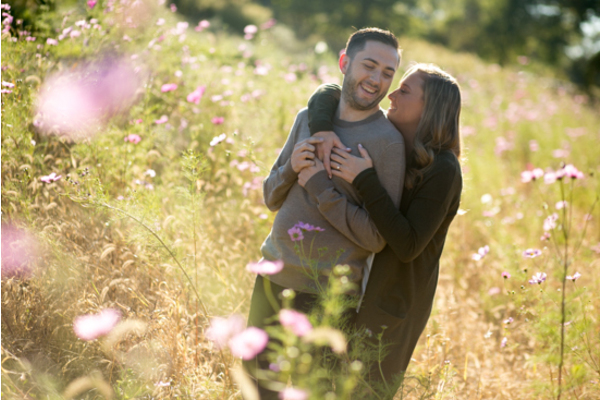 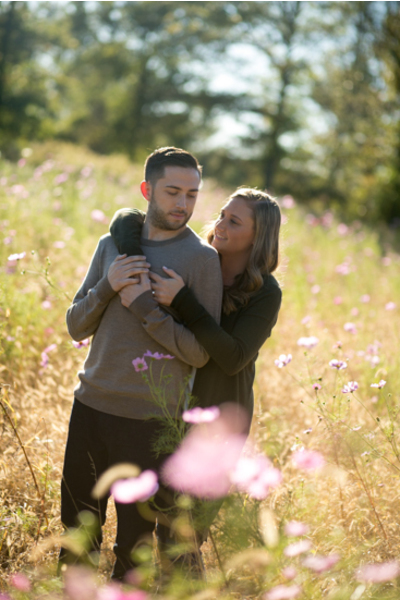 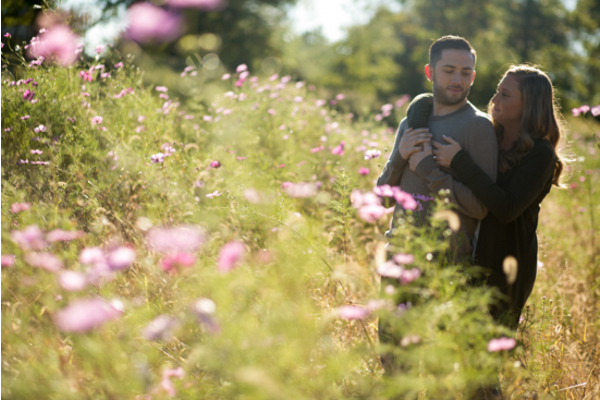 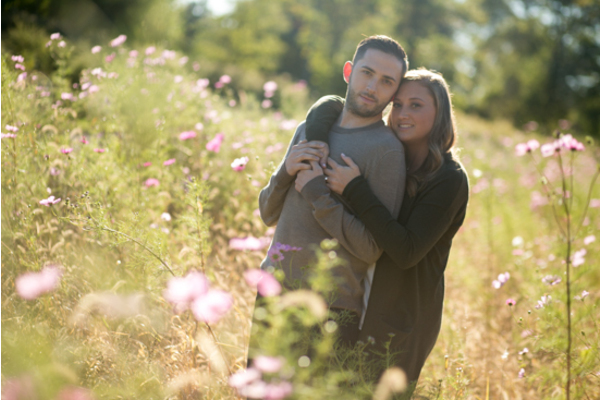 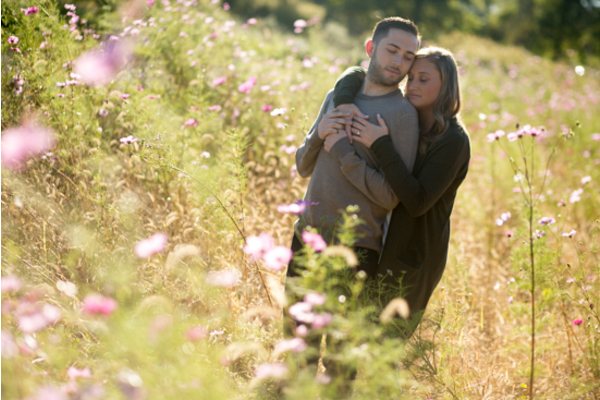 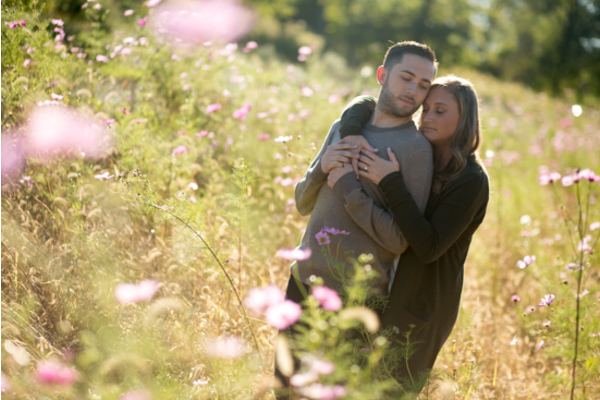 Starting off in a field of tall wild pink flowers, Samantha hugged her fiancé as they both smiled at each other. 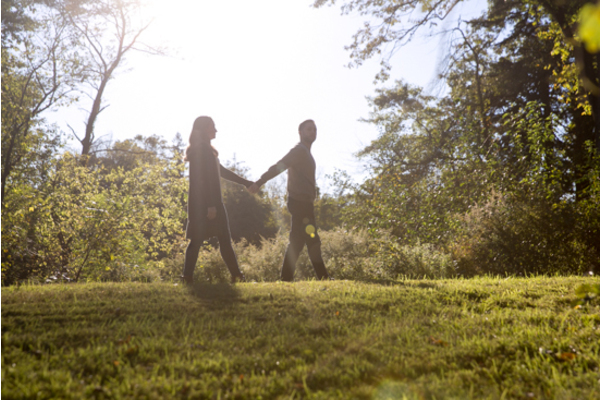 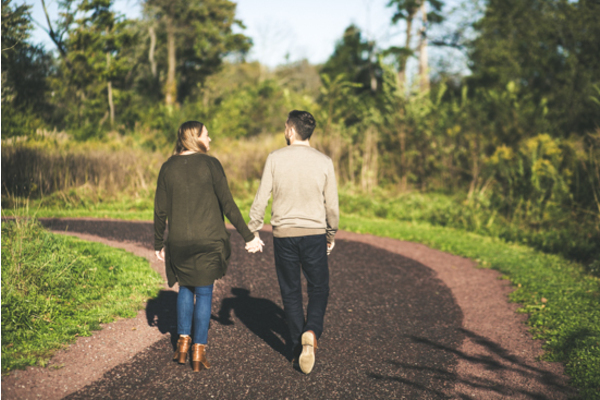 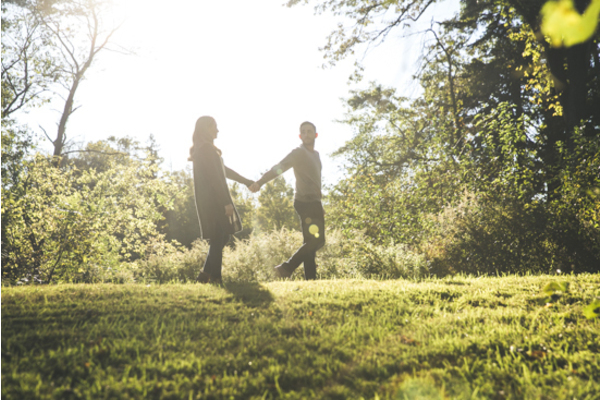 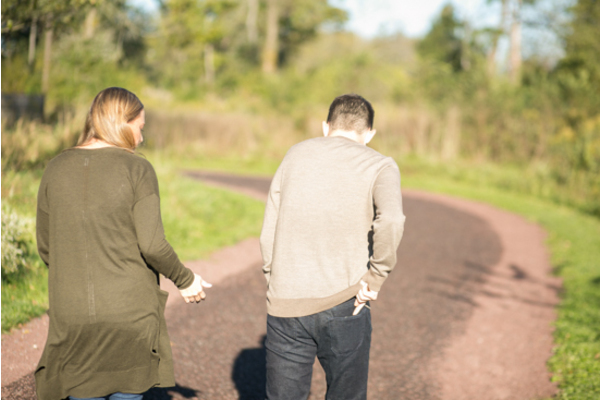 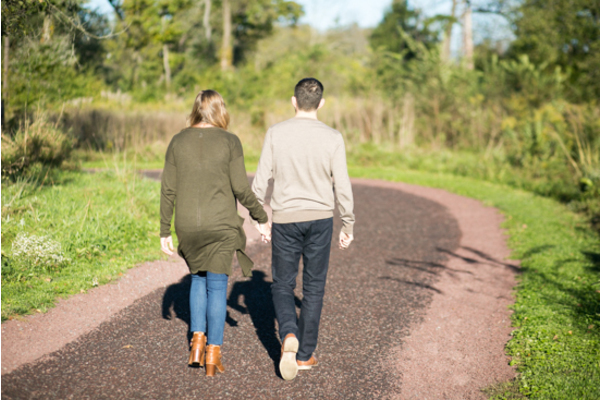 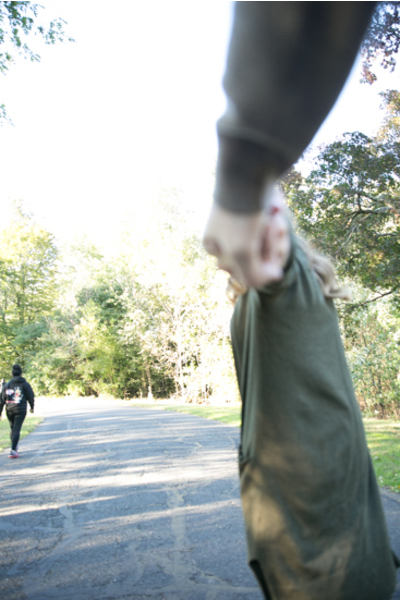 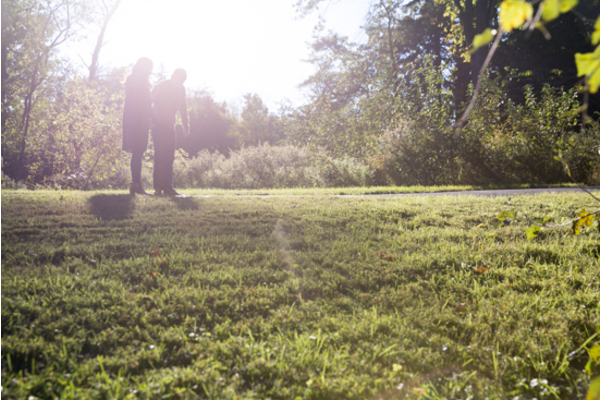 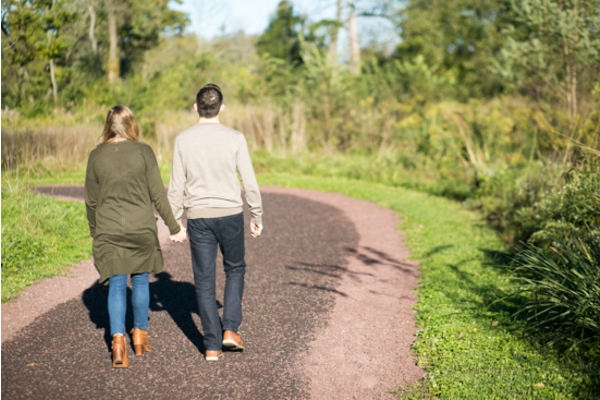 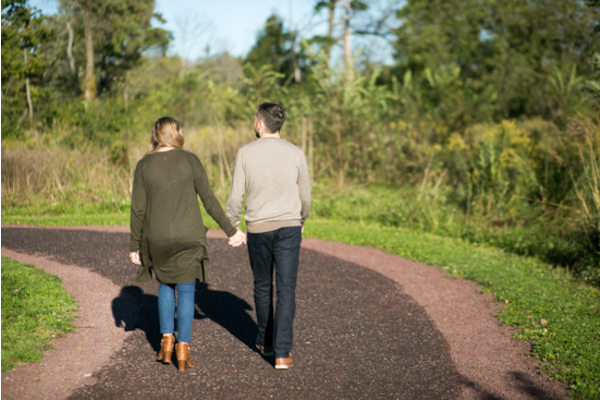 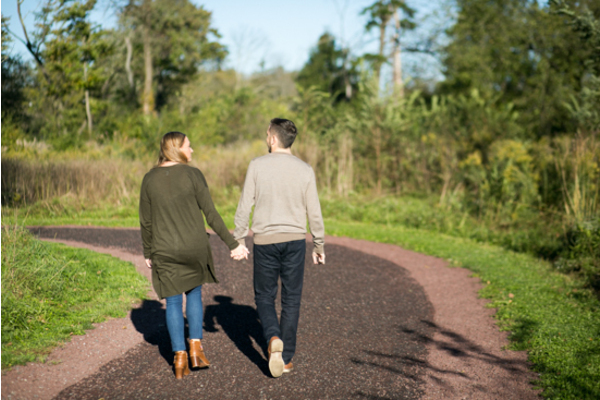 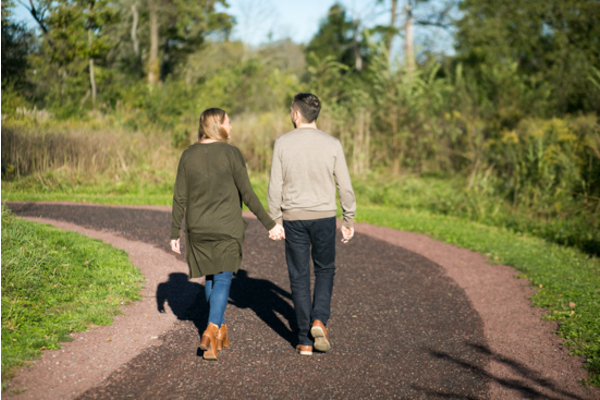 The couple then took a stroll down the path that lead them to a lake in the forest. 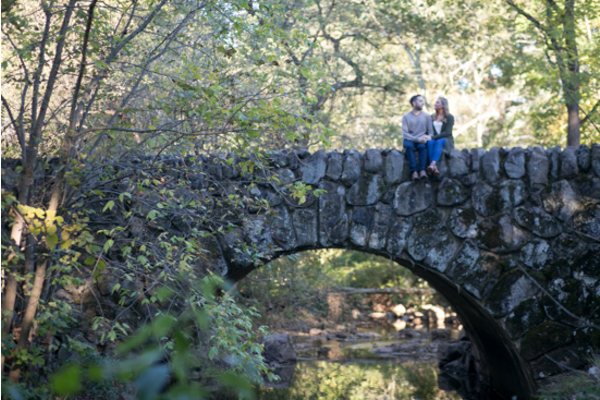 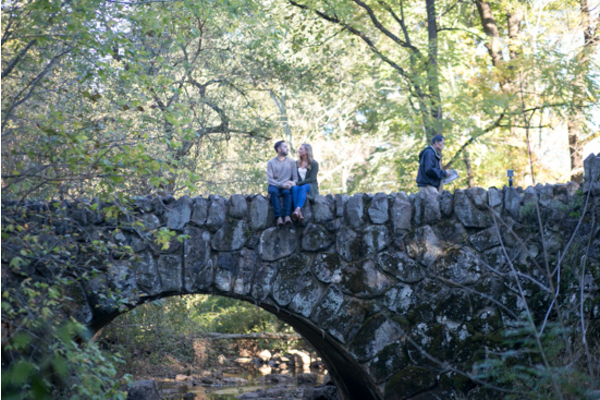 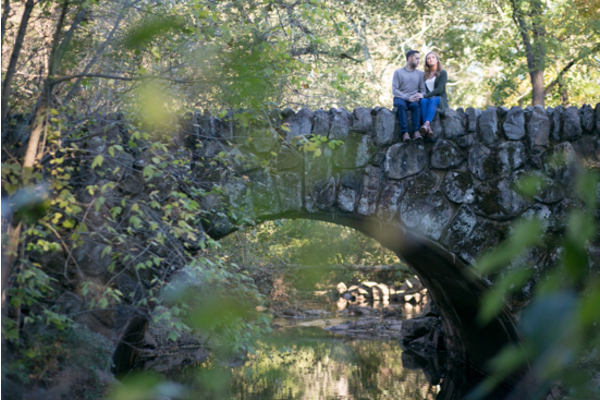 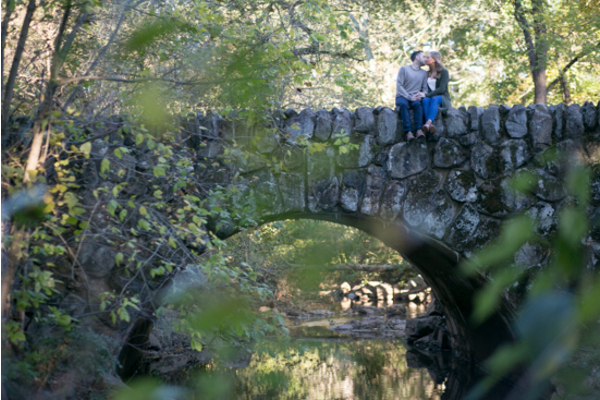 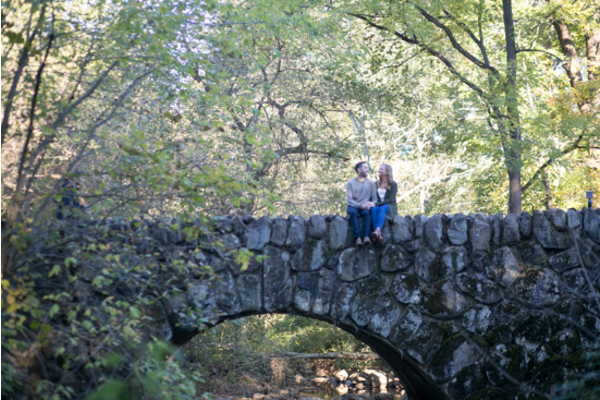 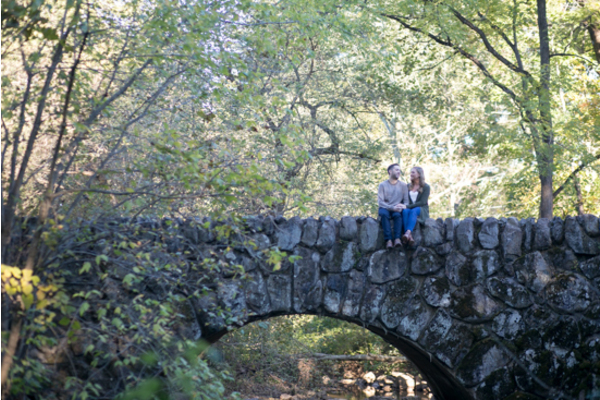 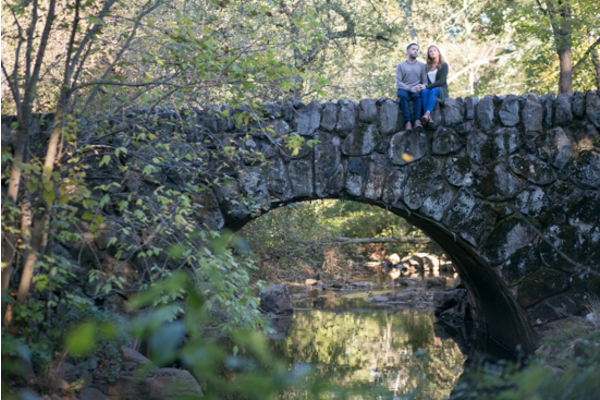 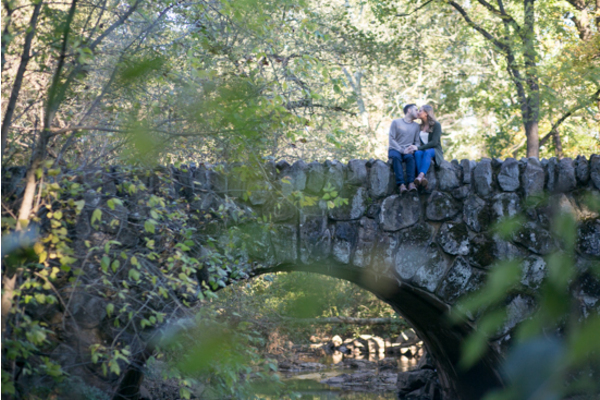 Over the lake was an old stone bridge where Samantha and Robert sat and posed for some more fun photos! The sun was out this afternoon and was shining just as bright as this happy couple’s smiles. 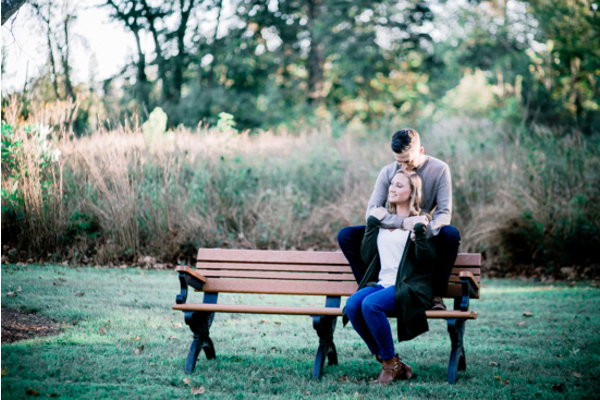 They sat on the nearby bench and were so excited to start their new journey together! 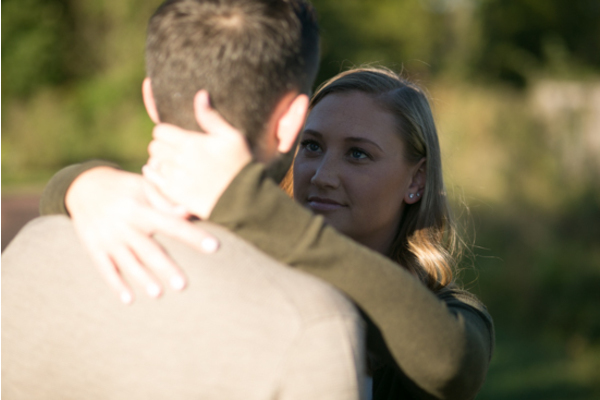 Samantha showed off her engagement ring as the sun began to set. 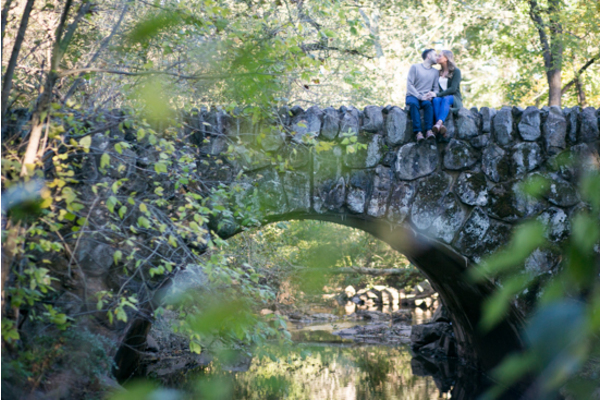 They ended their special time together with a kiss and headed off into a tree lined trail holding hands! 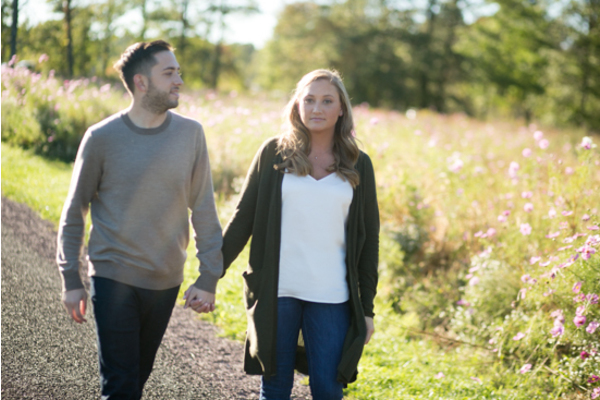 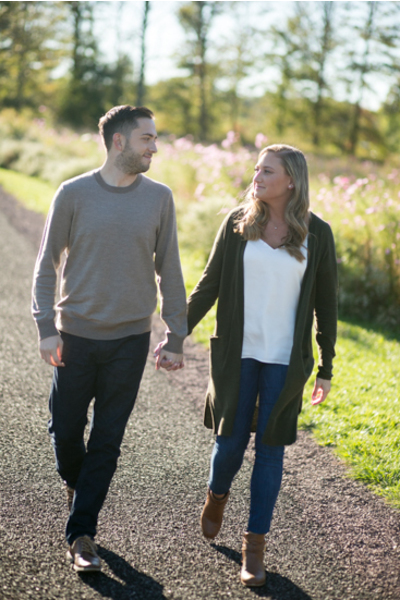 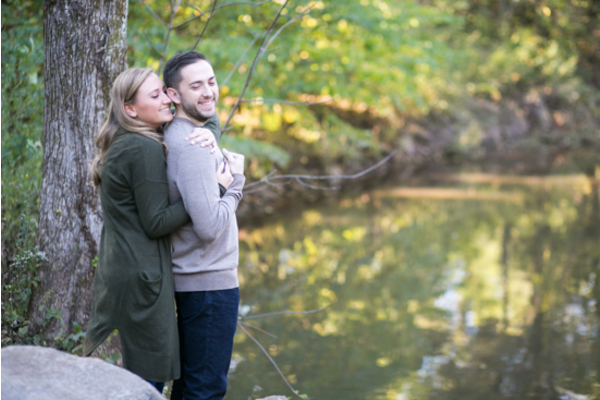 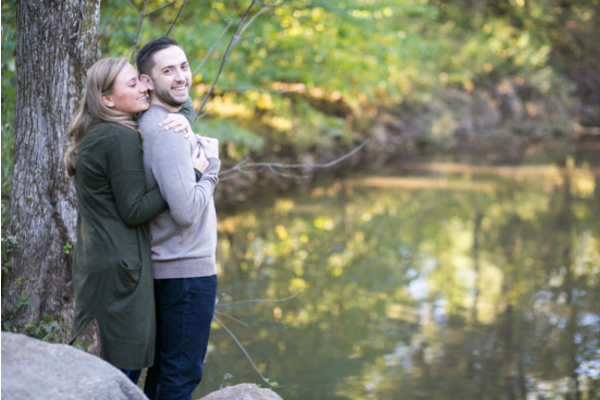 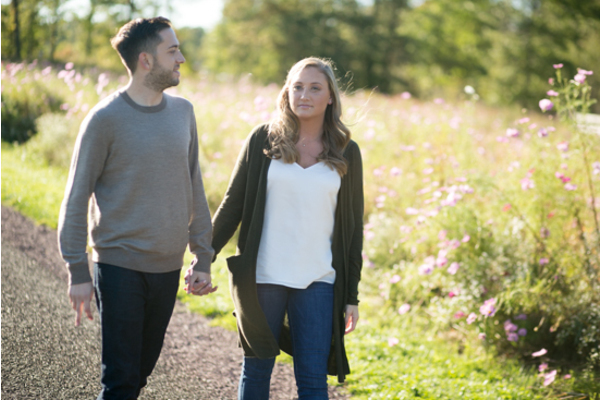 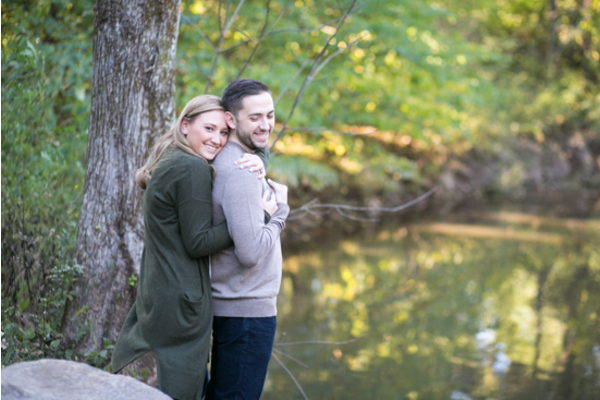 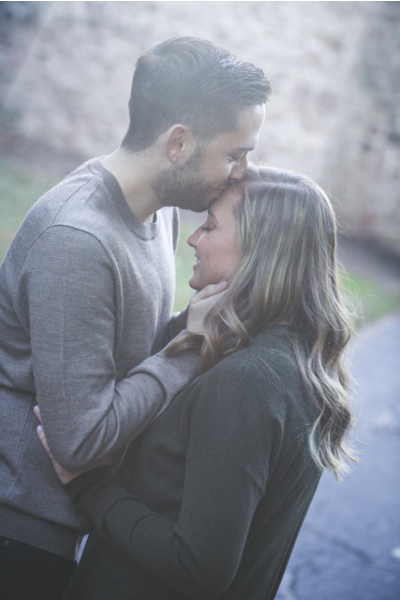 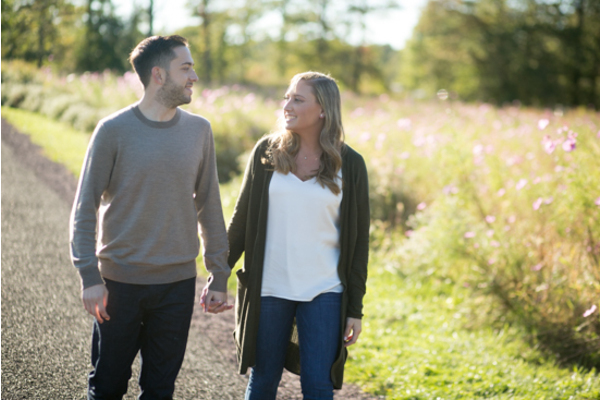 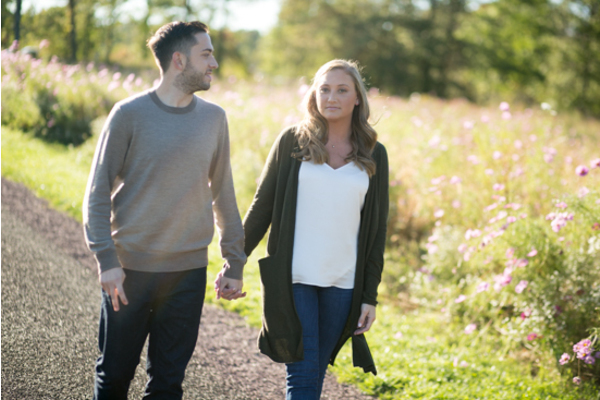 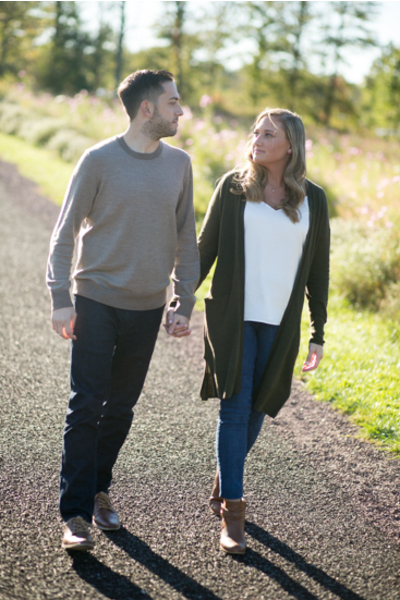 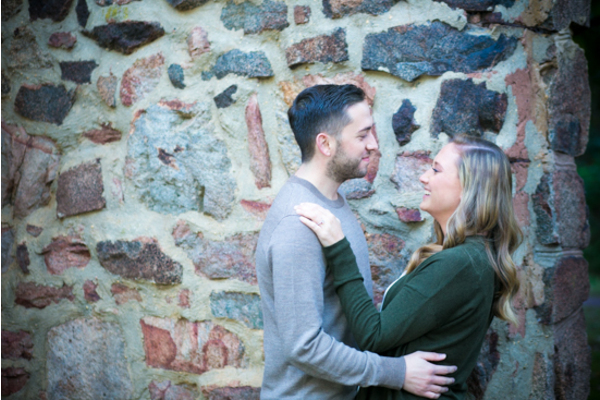 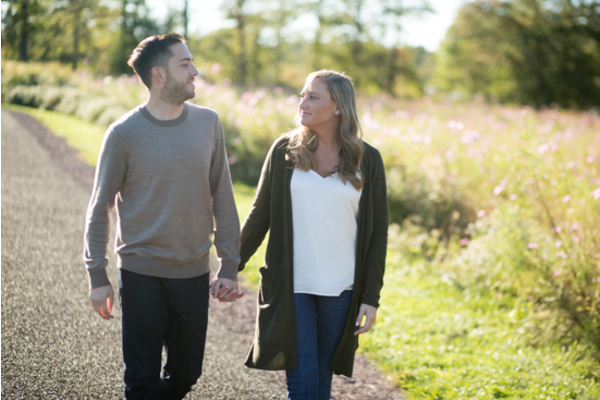 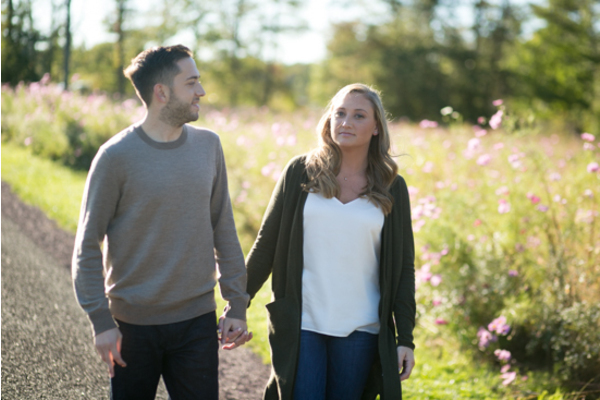 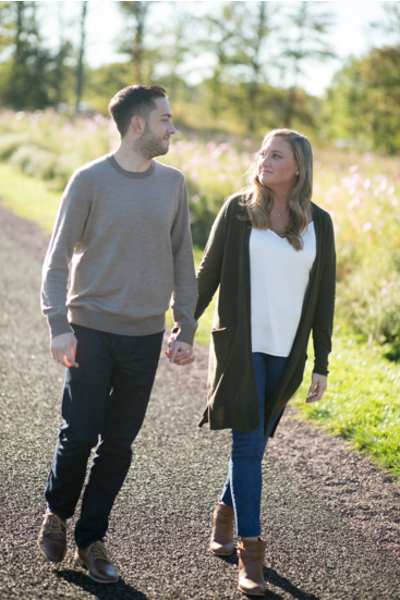 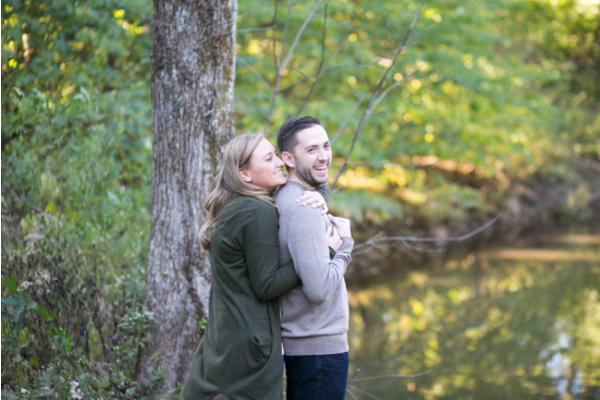 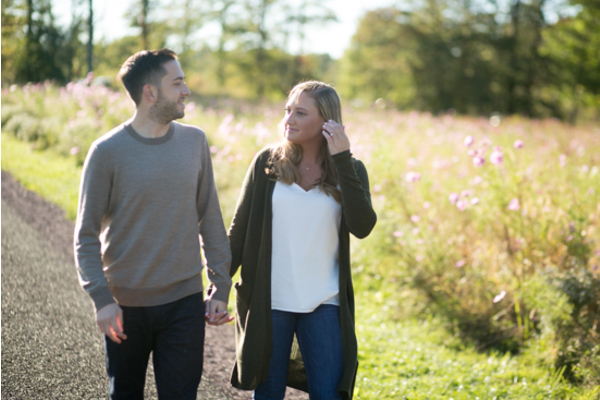 Next September, our NJ Wedding Photographer will be back for all the moments Samantha and Robert will share together on their wedding day! 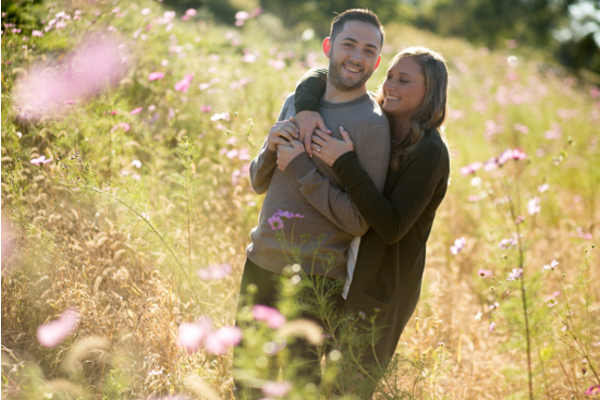 Along side them, will also be our NJ Wedding Videographer to capture every kiss and laugh throughout the day. 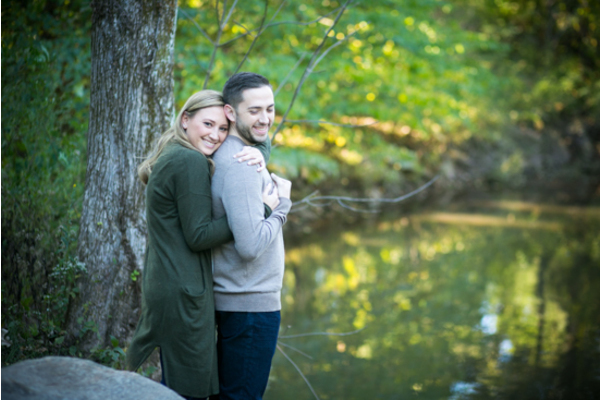 Congratulations, again, to Samantha and Robert! 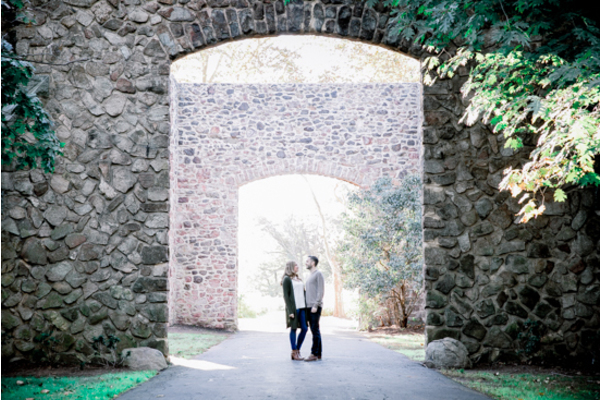 Let the countdown begin!